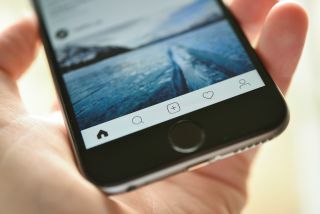 A new Instagram feature is reportedly in the works, which will allow users to share photos and posts they see on the site to their entire news feed. Although Instagram has told Mashable that it is not working on this type of feature - which would dramatically change how Instagram works - The Verge reckons it has got its hands on some early screenshots of the feature in action. Currently, when you add something to Instagram, the only way people can actually interact with the photo is by liking it, commenting on it or sending the image directly to someone in your friends list. The new feature, if it ever launches, would systematically change how your Instagram feed works and offer something similar to what's been used by Facebook and Twitter. It would allow the "seamless sharing" of images and there's also a "share to feed" option. This option would mean that users would start to see content in their feed that they don't currently follow. Sharing other people's content has been something of a quandary for the folks behind Instagram. On the one hand they allow it through Instagram Direct but opening it up would mean that Instagram would lose some of its close-natured lustre. Instagram is changing its ways, though. Back in June it begun allowing one-hour video uploads in its IGTV (Instagram TV) app for professional shows and the like. This came at a time when it announced that it had 1 billion users on board. If photo-sharing to the masses does become a thing, then you better learn how to reach more Instagram followers.